And I recently received a bunch of goodies from Ecstasy Crafts and in there was a Sue Wilson die "Frames and Tags - Poppy" die set. Since I made a vertical card last week using this die set, I thought I'd make a landscape one this time...I'm using the same principles as Becca's. 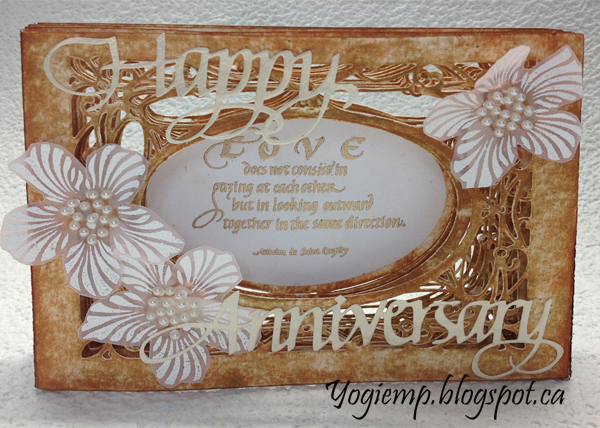 Amazing design with all the die cut layers, it looks fantastic! Thank you for playing along with our challenge at Crafty Calendar this month. Oh, my! 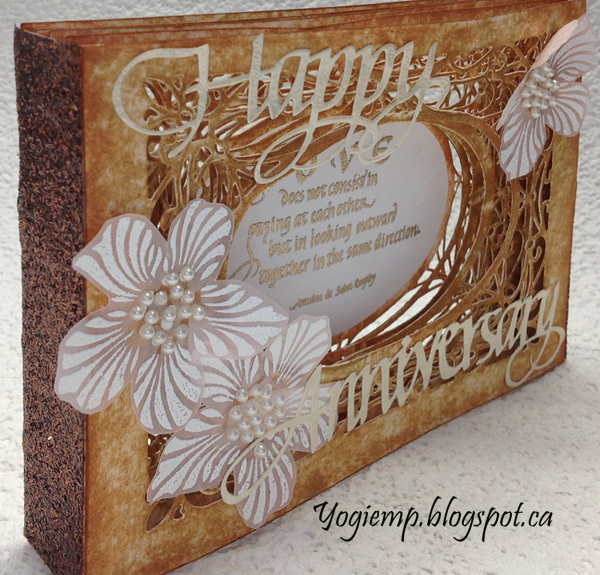 Another beautiful 3D card creation! Love the earthiness and pretty flowers on this one. Gorgeous card, fabulous colour combo. You have created an absolutely wonderful card here! Great work and thank you so much for sharing your talents with us for this month's Love to scrap 106 Challenge! How beautiful. Thank you for joining our February Challenge at 613 Avenue Create. Please join us again in our March Challenge. God bless! So sorry for this late comment, just been really busy.